The 72-year-old Malik has been associated with almost all political hues, starting as a socialist student leader to the vice president of the BJP, before being appointed as the Bihar governor last year. 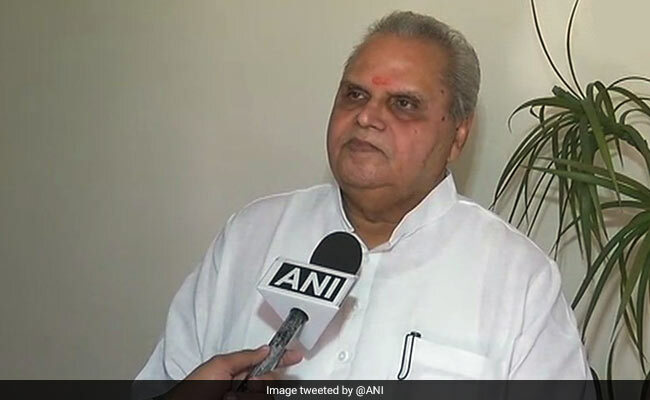 New Jammu and Kashmir Governor Satya Pal Malik will be the first career politician to be appointed to the position in the last 51 years, indicating a change in the strategy of the centre which has so far relied on former bureaucrats to run show in the troubled state. He will be the first career politician to be appointed as the governor of Jammu and Kashmir in 51 years after Karan Singh, whose term had ended in 1967. Since 1967, the post has been occupied only by retired civil servants, diplomats, police officers and Army generals. His appointment may also been seen in the light of the changing political scenario with talks doing rounds about disgruntled elements in the PDP joining hands with the BJP. Inspired by Ram Manohar Lohia, Satya Pal Malik started his political career as a student leader in Meerut University and became MLA of Charan Singh's Bhartiya Kranti Dal from Baghpat in Uttar Pradesh in 1974. He joined the Congress in 1984 and became its Rajya Sabha MP but resigned three years later in the backdrop of the Bofors scam. He switched to the V P Singh-led Janta Dal in 1988 and became an MP from Aligarh on its ticket in 1989. In 2004, Mr Malik joined the BJP and unsuccessfully contested Lok Sabha elections, losing to former prime minister Charan Singh's son Ajit Singh. He was the Union minister of state, parliamentary affairs and tourism from April 21, 1990 to November 10, 1990.